We’ve all heard, “Growing old is not for the faint of heart,” so how do we face this new phase head on? Staying active and being connected helps you age well and live life to its fullest. While it’s normal to feel down from time to time, when you’re isolated and lonely, more serious conditions like depression and anxiety can become common. Depression is much more than feeling sad or blue; it’s a medical condition that can have serious physical effects on your overall health. According to the National Alliance on Mental Illness, more than 6.5 million seniors in America suffer from depression. Unfortunately, depression and other mental health concerns in seniors are often overlooked because of the common misconception that depression is a normal part of aging. It is not. However, older adults tend to be more at risk for depression due to factors like social isolation, medical conditions like heart disease or stroke, or medication side effects. Plus, some are less likely to admit that they are feeling depressed, which in turn prevents them from getting the treatment they need to feel better and improve their quality of life. Social isolation is a key factor leading to depression and other mental health conditions in older adults. Luckily, there are plenty of ways for seniors to remain socially active as they age. Keeping in touch regularly with family and friends is now easier than ever thanks to technology like Skype, Facetime or social media. If technology is not your friend, consider taking a class at a community college, volunteer at a local hospital or animal shelter, or join a book or garden club – the possibilities are endless! Exercise does more than keep the body in good shape; regular physical activity can also positively affect the brain. A number of studies have shown a correlation between physical health and mental health. Exercise releases chemicals in the brain that not only increase energy, but is also one of the most effective ways to improve your mood. Seniors of all fitness levels can take part in a variety of exercises, from a leisurely walk around the block to strength training and light aerobics; any type of physical activity can do the trick. If you find it challenging to get around, even light chair exercises can improve your range of motion, strength, muscle tone and can help your circulation. What’s important is that you’re getting your blood pumping on a regular basis. Challenging the brain throughout the aging process is vital not only for better mental health, but also for giving the memory a boost. An active brain allows for sharper concentration, enhanced function and focus, and improved problem-solving skills. Seniors can consider activities that increase mental productivity like puzzles or board games, learning a new language or instrument, or taking up a new hobby to keep the brain active and engaged. Positive mental health is as important as physical health for seniors to continue to thrive and enjoy life to the fullest. 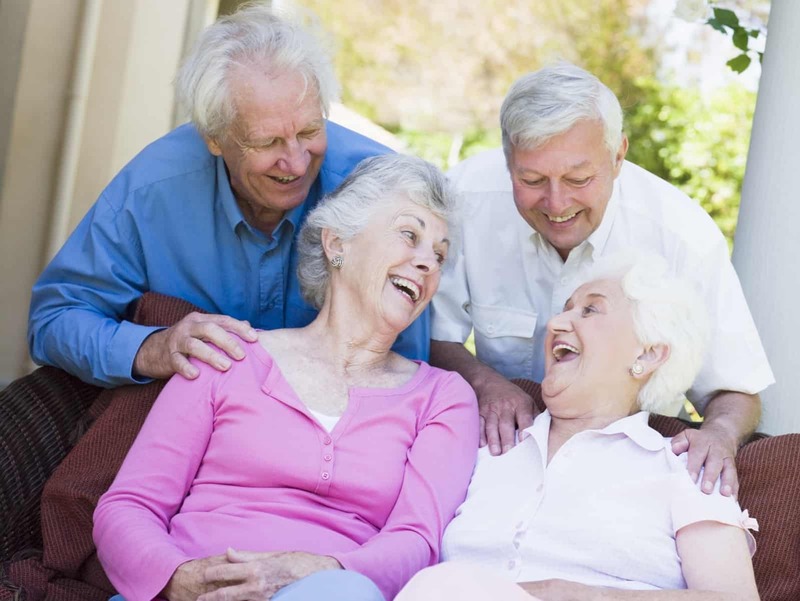 At Silver Maples, we’re committed to create and support a positive aging experience, and we have fun doing it! Countless life-enriching opportunities are offered to keep your mind, body and soul as healthy and active as you desire. Our vibrant community culture and beautiful setting offers many cozy senior living options that you’ll quickly settle into. If you’re interested in learning more about our retirement neighborhood near Ann Arbor, we invite you to come see Silver Maples for yourself! If you’re still in the research phase and aren’t quite ready to visit, we encourage you to get to know us from afar by visiting our website. There, you can view our videos and read personal stories and testimonials shared by residents, their families and our staff. You can even request more information to receive our brochure packet full of great information. Or, feel free to connect with us through social media to get a peek at daily life at Silver Maples. Contact us when you’re ready to learn more, we’re eager to discuss options and help you enjoy a lifestyle and support system you and your family will love.